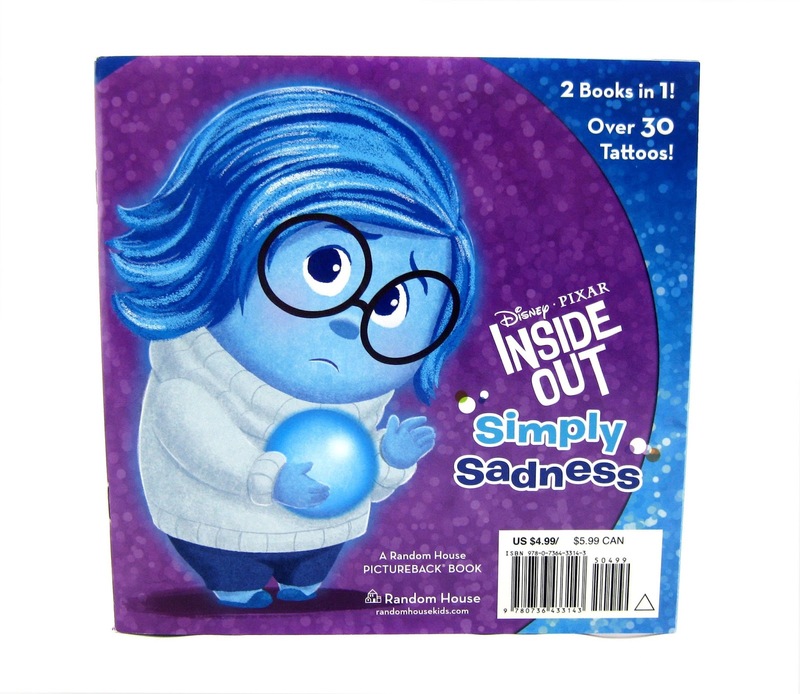 From Random House Publishing, here we have the Inside Out inspired "Joy's Greatest Joy" & "Simply Sadness" 2 Books in 1! This is a cute little 22 page story written by author Felicity Glum and illustrated by Lori Tyminski. It follows loosely/expands upon one of the story elements from the film, but I won't spoil that here. What's cool about this book is that it's, as mentioned, "2 Books in 1" (in a way). Open it from the front side, seen above, and read the story from Joy's perspective. Open it from the opposite side, seen below, and read the same story from Sadness's perspective. What happens in the middle is clever! I really enjoy how it's written and loved the adorable illustrations as well. It's very simple, as it's intended for young kids ages 3-7. Check out a sneak peek at some of the pages below! 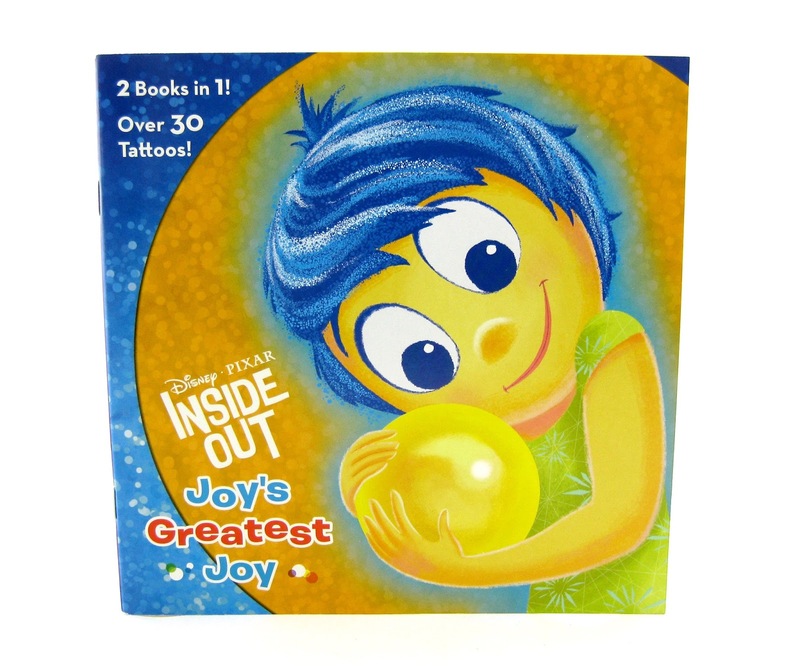 Additionally, there's over 30 Inside Out temporary tattoos included as well; so that's a fun little bonus. 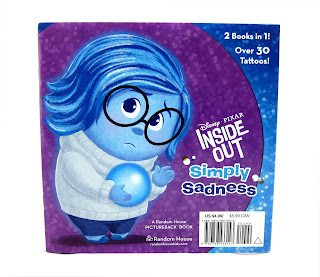 If you're interested in adding this book to your Disney·Pixar book collection, be sure to snag it on Amazon using the link below (it's very inexpensive, as you can see). Highly recommended for fans of the film- young and old alike!